Dr. Alan Grant & Associates - Family & Implant Dentistry! 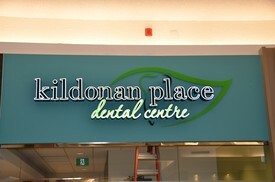 When you come visit Winnipeg dentist Dr. Alan Grant and Associates, your smile is our #1 priority. Our entire team is dedicated and committed to providing you with the gentle care, personalized dental care that you deserve. NEW PATIENTS CLICK HERE to learn more about appointments, fees and payment options and also to find answers to some of the most frequently asked questions, download client forms & much more. Part of our commitment when serving our patients includes us providing information that will help them to make a more informed decision about their and their family's oral health needs. We provide our website as a resource and we hope you’ll find it useful, informative and interesting. Call (204) 661-6091 to Request Appointment! We genuinely hope that this website is helpful to you in discovering more about our Winnipeg dental practice, dental conditions/treatments, dental treatment recommendations and more. Please feel free to browse through our site and make sure to give us a phone call if you would like to schedule an appointment or have absolutely any questions at all! Winnipeg, Manitoba Dentist, Dr. Alan Grant is dedicated to family dentistry such as Exams, Teeth Whitening, Veneers and more.